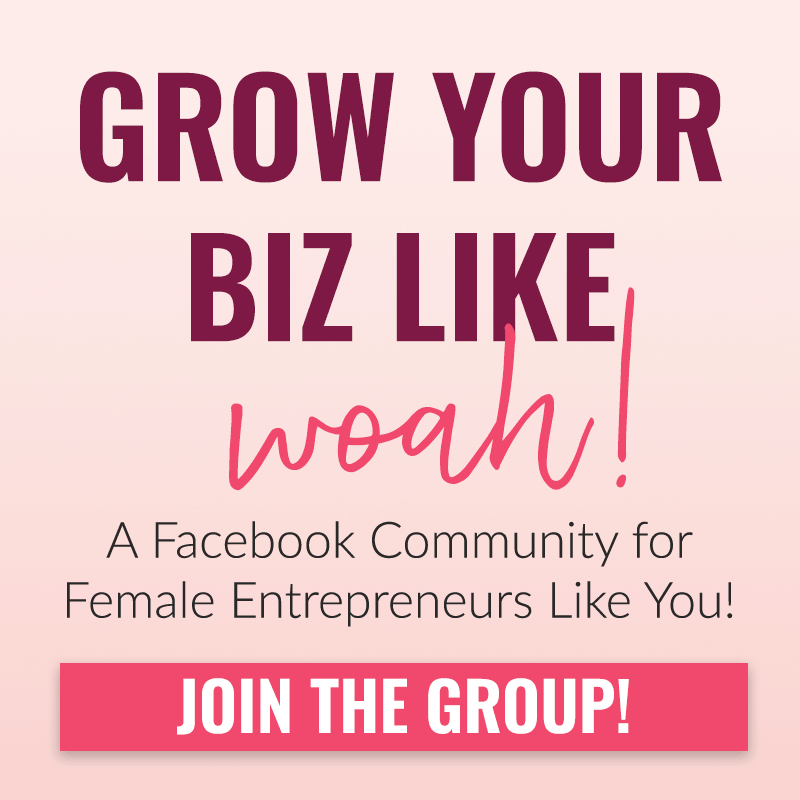 One of the most commonly asked questions I hear from my students in the Grow Your Biz Like Woah Facebook group is…how to stand out to potential clients?? 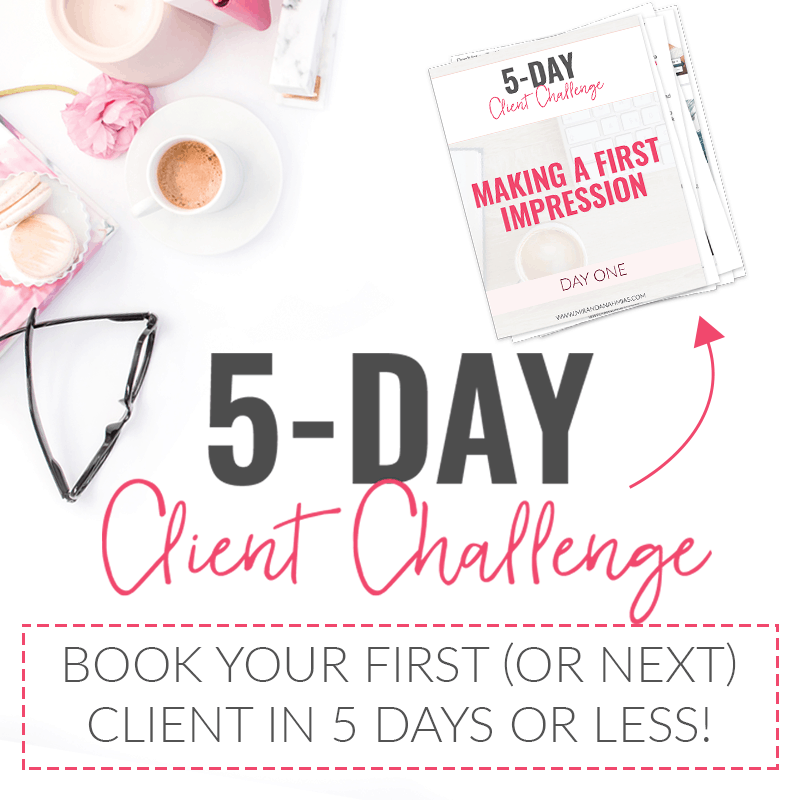 Or, more specifically, how to get clients in general. 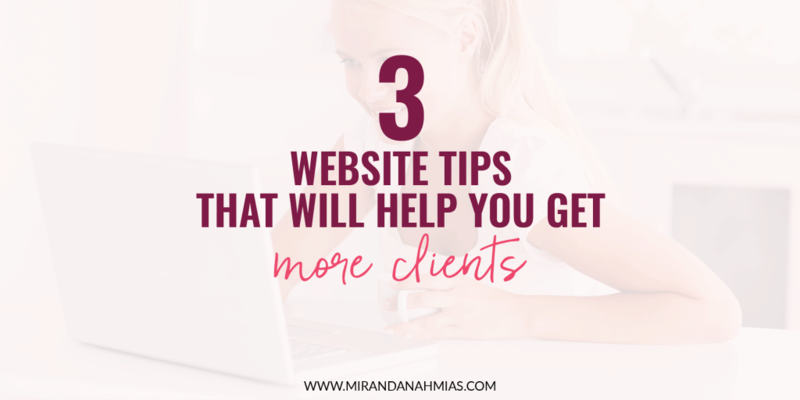 The topic of bringing in a new client is a big one, so today I am just going to cover one piece of it: a few website tips to make your site stand out to potential clients. 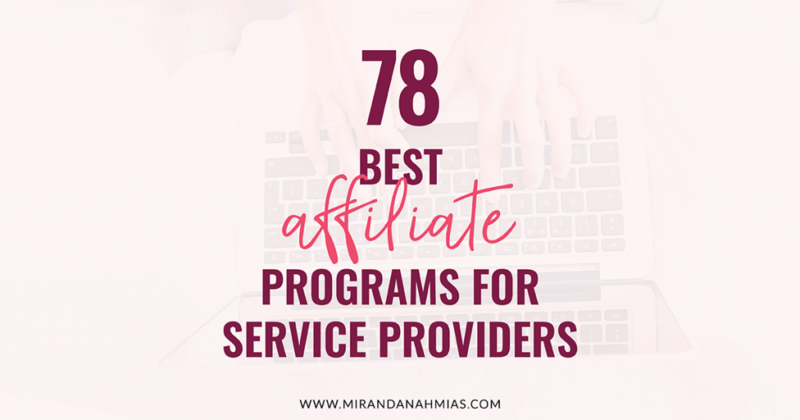 Sure you may have an amazing personality and extremely helpful services, but your website is a huge piece of actually getting those clients to either interact with you or purchase something from you. 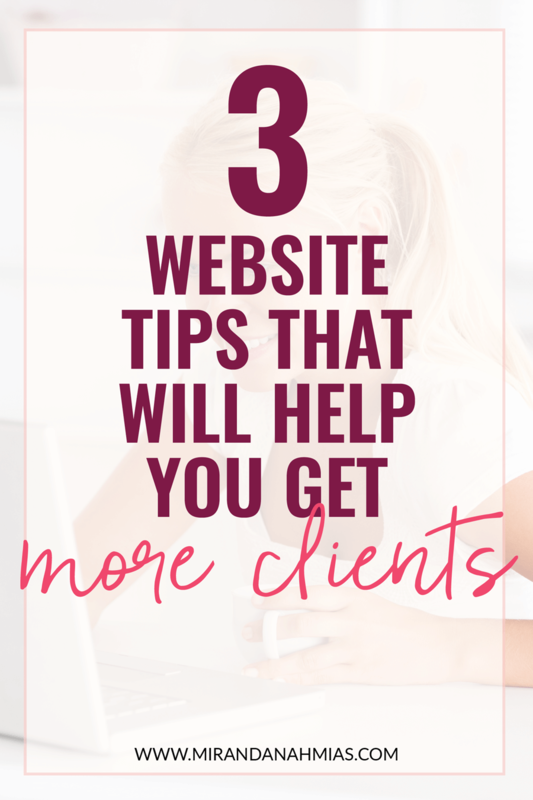 Your website is what usually stands between you and your client. 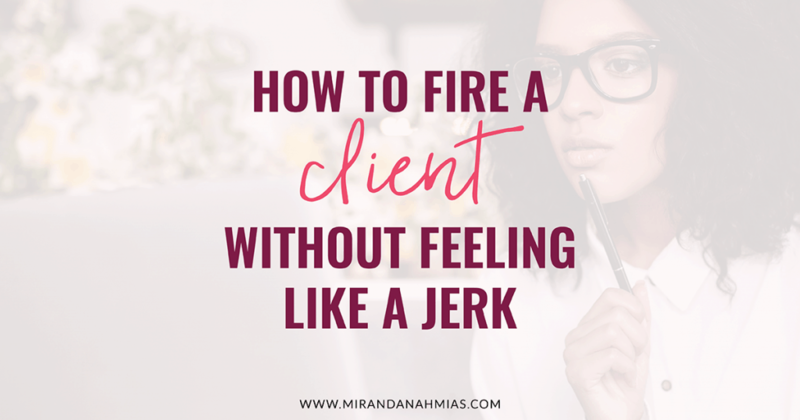 Your site is the middle man, so how it looks and performs is directly related to whether or not potential clients will take the leap and hire you. Okay, this is a pretty obvious one, but it needs to be said. It might be tough to hear, but if your site looks like crap, you will probably have a hard time getting clients. Subconsciously, people equate poor design with cheap or low-quality service. Having an attractive website will showcase your potential and make potential clients feel like you are a good person to hire. A nicely designed website highlights your attention to detail, good taste, and value. Luckily, a good website does not have to come at a huge expense. If you want or need to DIY and aren’t a designer yourself, stick with a clean look that will not distract from your services. There are plenty of free or low-cost WordPress themes (or a basic Squarespace site) that will allow you to do this without breaking the bank. My favorite customizable themes for WordPress are the Total theme (what I use now, for intermediate/expert Wordpress users) or Nose Graze’s Tweak Me theme (perfect for beginners and very customizable). Alternatively, if you are looking for a gorgeous refresh, check out Coded Creative for beautiful WordPress themes. 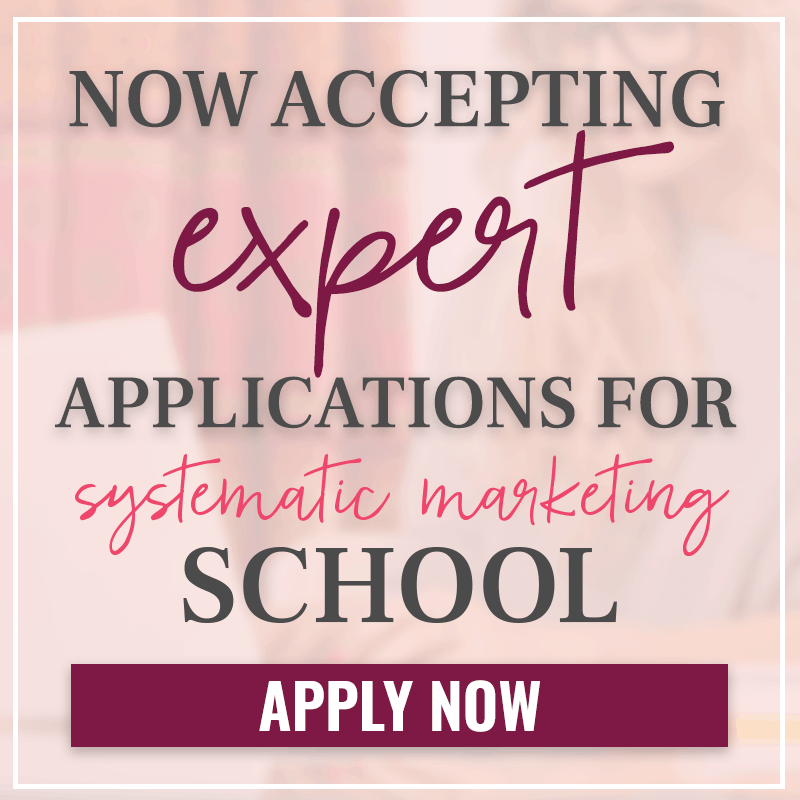 Speaking of which, maintaining a consistent brand is another key aspect of your website that will portray your expertise. 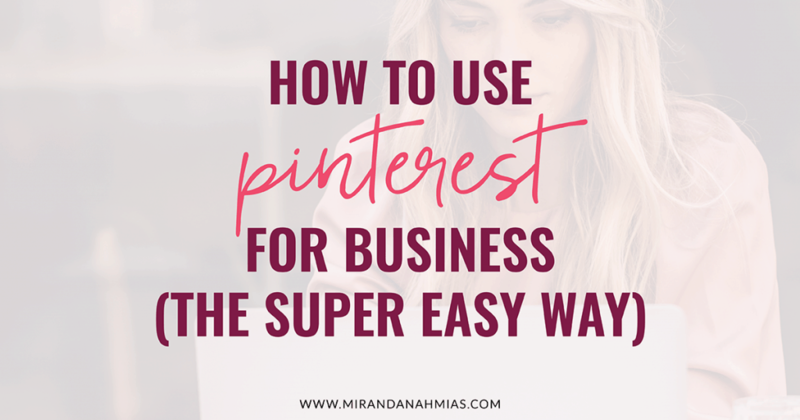 Stick to your signature color scheme and fonts, and consider your target audience. This is a biggie! I am always surprised by how many online service providers I come across that don’t have a blog on their website. Or, they have a blog, but they are not using it correctly. This is something that I could probably talk about for hours, but I will try to be concise so that this blog post isn’t too long! Once you have a blog, use it properly! Don’t just throw up one blog post and expect thousands of people to come running. 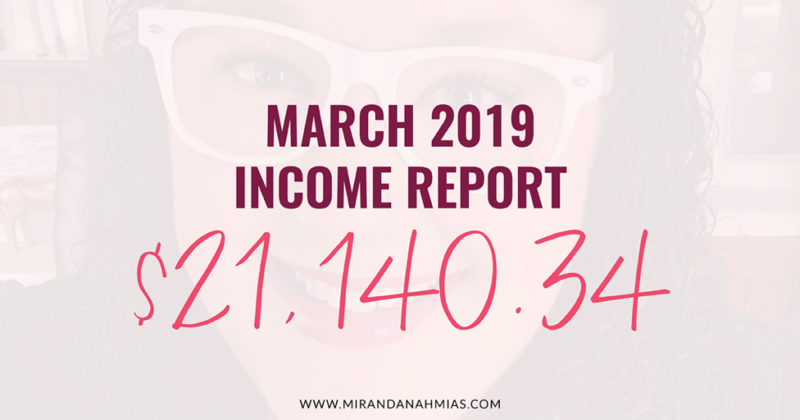 It does take a few weeks (sometimes months) of consistent blogging to start pulling in a decent amount of traffic. Aim for at least 50+ views per day if you are just starting out. If you have been doing this a while, 300+ views per day is a better goal. Remember to consider your target audience (a.k.a. your potential clients!) and write blog posts that they would find interesting. Try answering common questions they might have about your service. For example, if you are a wedding planner, you could write a blog post called: 5 Reasons You Need to Hire a Wedding Planner. Lastly, after you have a few posts up there, remember to be proactive about promoting those blog posts. 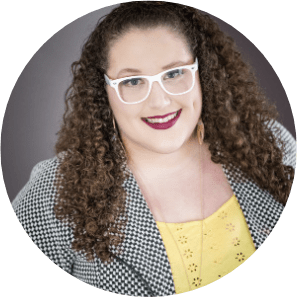 Another one of my weirdly specific and kind of “duh” website tips, but I swear, when I was first getting started out as a virtual assistant, strategically placing my contact forms (or discovery call buttons) was a huge reason I got so many inquiries. Basically, the goal of your website is to get people to hire you, right? So don’t make it hard for them to do so! Having that easy access to get in touch with you is exactly what will spur people to send you a quick note. I use the Jetpack plugin for easy contact forms on a WordPress site. I also like Gravity Forms if you want something a bit more robust. A lot of people recommend Contact Form 7, but I’ve personally had bad experiences with it. 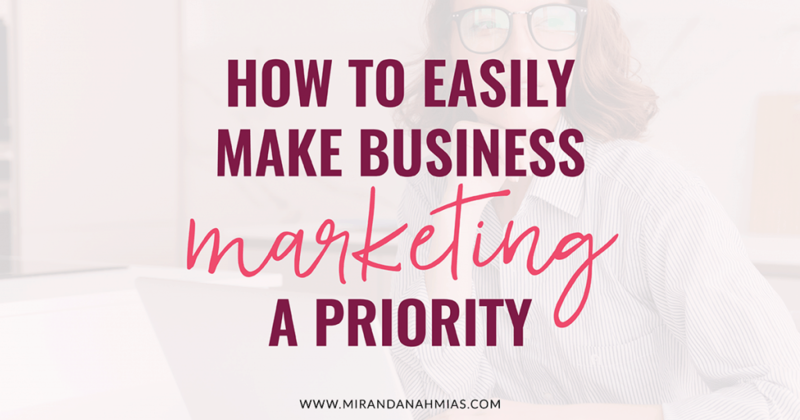 Your website needs to tell potential clients all about your business, your personality, and how you can enhance their lives. So make sure you are putting some effort into it! Follow these website tips to get the most out of your site. 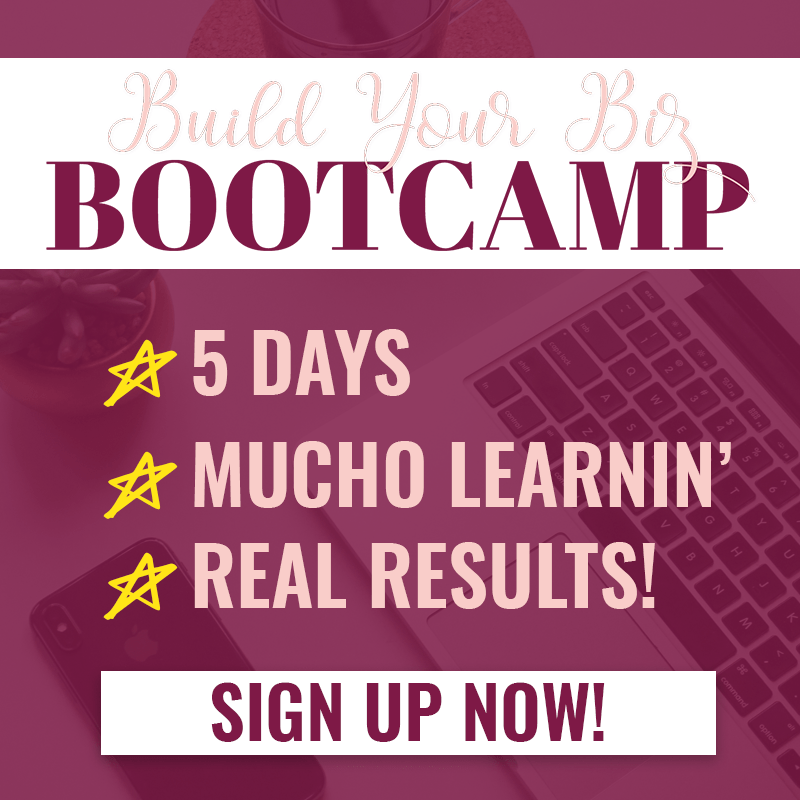 When I started prioritizing these things on my site, the response from potential clients was incredible. 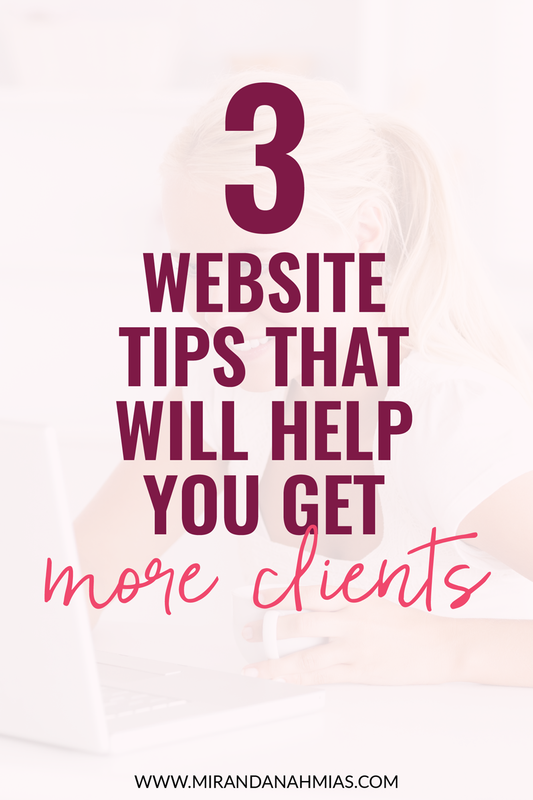 For someone who is on the fence about who to hire, coming across a site that has implemented these 3 website tips could push that business to the top of their list!